Jennifer J. Britton is the founder of Potentials Realized, a Canadian-based performance improvement company. Jennifer works with groups, teams and organizations in the areas of leadership, teamwork, and business success. Her global clients include government, corporate and non-profit sectors, from financial services to education and health care. She also offers a range of group coaching programs and retreats for the general public. Jennifer fuses her rich experience as a former global program manager with the UN, experiential educator, coach and workshop leader. She has delivered group programs in over eighteen countries in the last twenty years. 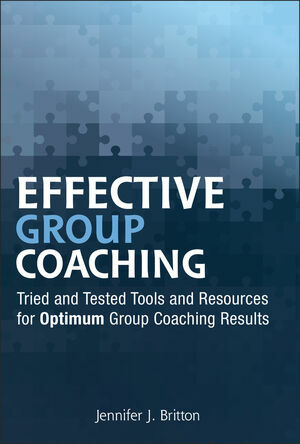 Since early 2006, her Group Coaching Essentials™ program has supported hundreds of coaches in the creation and implementation of their own group coaching programs. Accredited as a PCC with the International Coach Federation, Jennifer was originally trained and certified by the Coaches Training Institute as a CPCC. She has also completed advanced coach training in the areas of ORSC and Shadow Coaching. Jennifer is also a Certified Performance Technologist (CPT) and Certified Human Resource Professional (CHRP). She holds a Masters of Environmental Studies and a Bachelor of Science in Psychology.